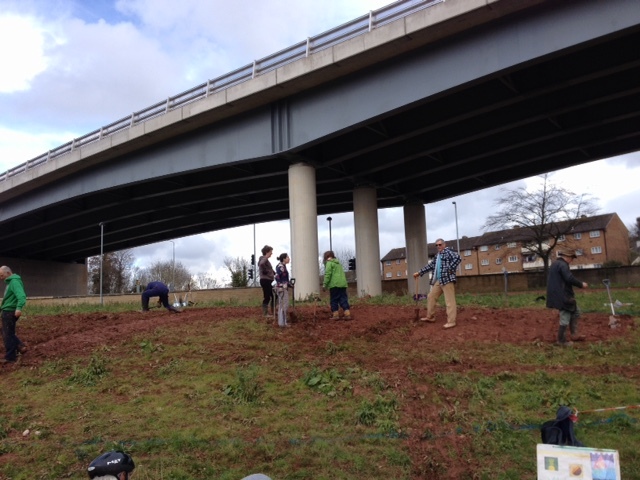 The weather brightened up just in time for today’s Volunteer Tidy Up event at Penn Inn Roundabout. The event was organised by Newton Abbot Community Interest Company, and was the first of a series of Volunteer days to tidy up the subway area under the roundabout which has become overgrown and untidy. Most of us were digging turf up ready for the planting of a new bed. I didn’t count the number of people that came to help, but it was a good number, and it had a great community feel. There was a brief scare when a very loud bang was heard from the flyover, which we assumed must have been a tyre blowing out. 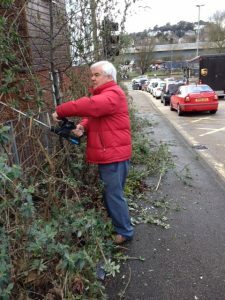 In addition to work in the subways, Gordon Hook and myself took the opportunity to cut back the buddleia, which grows out blocking the pavement down Shaldon Road near the lights at the bottom. 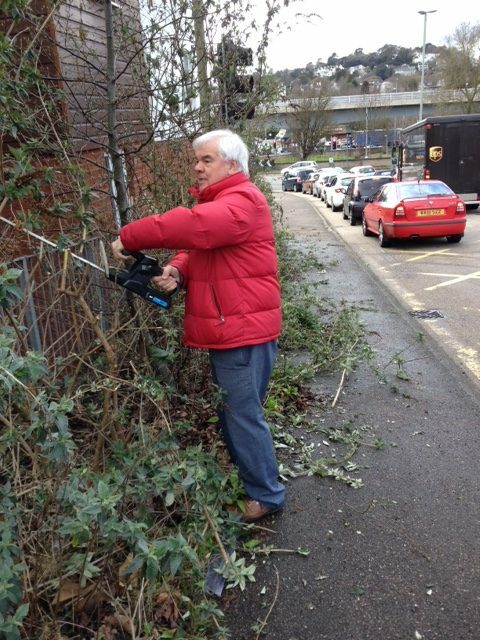 Devon County won’t come out and cut it back any more, so Gordon regularly goes out to cut it back himself. If you would like to get involved with volunteer days either at Penn Inn subways, or more widely across Newton Abbot then please get in touch.